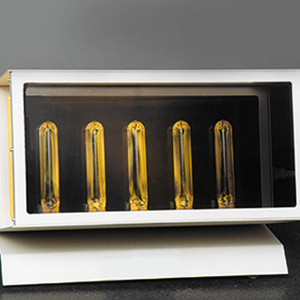 The Agr Polariscope is a laboratory tool that can be used to identify and evaluate residual strain in annealed glass containers and similar products. The Polariscope is an effective tool for determining stress in many types of glass containers and related products according to ASTM C-148. 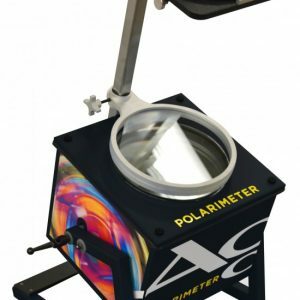 The Agr Polariscope works on the principle of using polarized light to identify strain in glass. 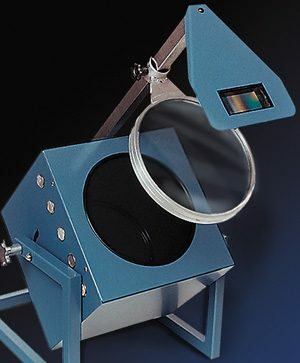 The Polariscope incorporates a polarizing filter to convert white light into a polarized light source that is then directed through a glass sample. Actual levels of stress (temper grade) can easily be determined by comparing colors exhibited during the test with those produced by calibrated standards.